Anti-virus is one of the most critical pieces of software you have on your PC, but it's often one of the least thought about. People who've always used Norton Anti-Virus or McAfee, for example, might just stick with that even though there are so many more options these days. Others are convinced anti-virus is bogus and never download a thing to protect their PCs. I wouldn't recommend venturing out into the big bad Internet (or even your email inbox) without some kind of anti-virus. But I do understand the reluctance to think much about the topic. It's boring and never seems to matter much. The fact is you should take a look at your security and reconsider what you're doing every few months. 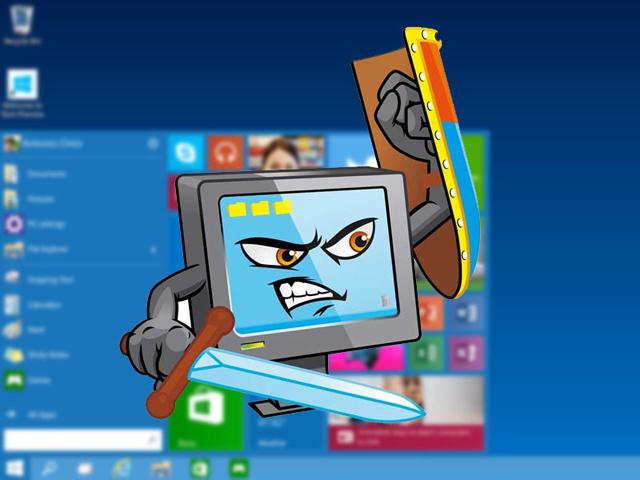 Here are a few tips that can help guide you when choosing anti-virus software. It may seem strange to start off a guide to getting anti-virus with a topic that has nothing to do with security, but it's a crucial question. Deciding on free programs limits what you can use and narrows down your decision right away to free options from companies like Avast, AVG, Avira, Bitdefender, and Panda--or to sticking with Microsoft's built-in Windows Defender. The downside of free options is they can have advertising (usually for their own products) or may constantly offer pop-up notifications encouraging you to switch to the paid version. Sometimes these programs even offer tricky update windows that try to get you to click on the paid options instead of updating the free version. Before you do anything decide whether or not you're willing to pay. Once you've decided between free and paid software, consider your circumstances. Are you running an old machine that struggles to boot up? If so, you'll want to look for an anti-virus suite that has low-impact on your processor and RAM. If you're a gamer or you watch a lot of full screen movies on your PC, you'll want to look for an anti-virus suite that has a gaming mode so it won't disrupt your entertainment time with notifications or updates. Take a second to consider how you use your computer and what your situation might demand from an anti-virus program. Now, it's time to get some third-party opinions about how well various security suites perform. Two independent test labs that offer regular reports on anti-virus performance are AV-Comparatives and AV-Test. Their sites are a little complex, but basically you want to get to the reports offered by each (linked above). AV-Test's report is the easiest to read. It's also the most comprehensive with performance summaries for each security suite on various operating systems including Windows XP, Vista, 7, 8, and 10. AV-Test divides its results into three categories: protection, performance, and usability. Clearly, you want the best score you can get on protection and performance, while usability will depend on your comfort level with technology. All of the suites have pretty high scores on usability, but if you are easily frustrated by software you'll be looking for full marks in that section. AV-Test covers both free and paid software. The second place to look is AV-Comparatives' monthly "real-world protection test" results. This will give you a straightforward look purely at the most current performance levels of each suite. If you aren't one for charts all you really need to know is that the more red you see on this graph, the worse the anti-virus suite did. AV-Comparatives also offers a free annual report if you really want to dig into anti-virus performance tests. We've come a long way from the days when the only choices were McAfee and Norton for anti-virus. With so many options it's important to get an outside opinion of what these security suites are actually like before you install them on your home PC. If you're truly opposed to anti-virus, I'd recommend that Windows 8 and Windows 10 users enable Windows Defender, while Windows 7 users can download Microsoft Security Essentials. These free programs are very unobtrusive and provide at least some protection should malware sneak onto your machine.